First: confirm the size of the lucite display box. 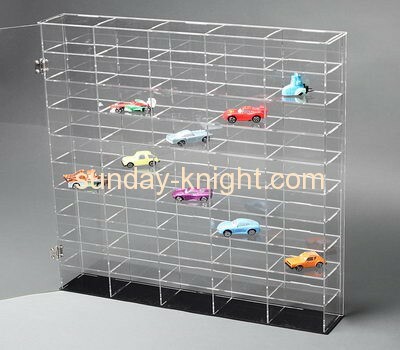 Decide what do you want to display in the lucite display box and then measure the size of collectables item which would determine how big you need the display box to be. Measure the height, width and depth of the display item. 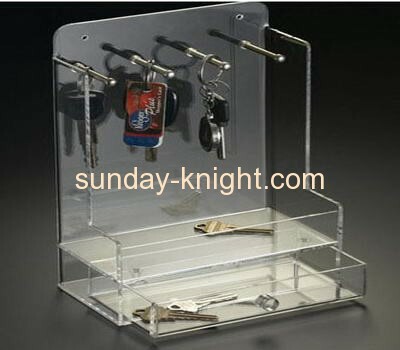 You need four sides that are identical and a top and bottom that are equal to the width and the depth of the overall lucite display box. Then: cut the lucite sheet. You should wear safety equipment in case of acrylic powder spin off small pieces into your eyes or smaller ones you can inhale before cutting lucite sheet. And then: assemble the lucite display box. Place the remaining side on the top of lucite display box to cover the opening. Determine where you want to place the hinges and then attach them to the remaining side,then it is the door. Once the door is attached with hinges, you can keep the lucite display box up in the direction you intend for it to be in.